Our on-line exhibitions have been designed to reflect the displays presented at the Province Archives in Ballarat. Displays are prepared for anniversaries, for past pupil reunions and as a resource for students and researchers. 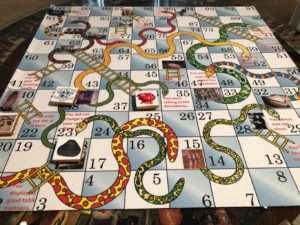 A graphic representation of the 2019 Exhibition displayed in Loreto Archives Centre’s Gallery. Loreto Ballarat’s gardens have changed over the years but have retained their beauty and history. In this display we have loooked at primary sources in the Archives to find out a little more about the history of the grounds. 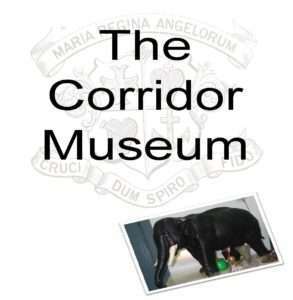 The ‘Corrridor Museum’ at Loreto College Ballarat was established early in the history of the school. A Victorian ‘cabinet of curiosities’, the collection is an eclectic mix of objects some with stories and some simply mysteries. 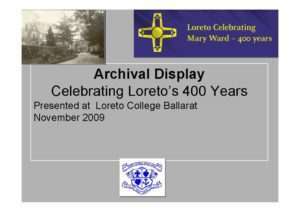 The exhibition is a pictorial study of Loreto’s history in Ballarat. 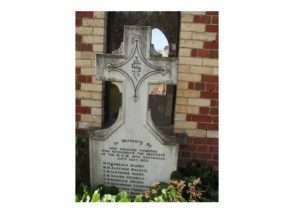 The Loreto Sisters came to Ballarat from Ireland in 1875 and from this foundation established convents and schools all around Australia. 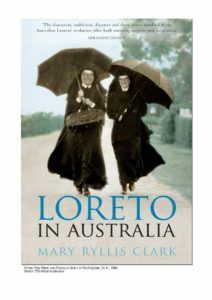 An exhibition designed for the launch of the book ‘Loreto in Australia’ by Mary Ryllis Clark. 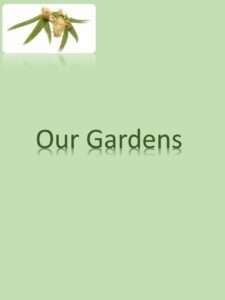 This exhibition gives a pictorial snapshot of each chapter of our history. In 2009-2011 the Loreto Sisters celebrate 400 years since Mary Ward began her work. 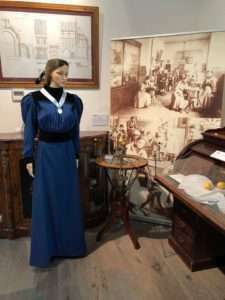 This exhibition was displayed as part of the celebrations in 2009. 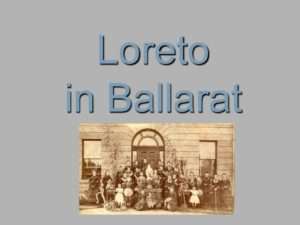 Ten Loreto Sisters came to Ballarat in 1875. 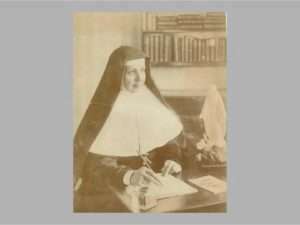 This exhibition explores the background of these women and their considerable influence in the growth of Loreto in Australia. 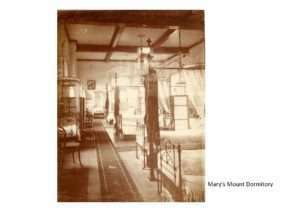 Mary’s Mount’s first ‘uniform’ was a variety of blouses and skirts either made at home or by the sisters. The basic colour of hyacinth blue, however, was evident from the beginning. 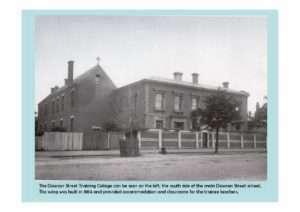 Mother Gonzaga Barry began a teachers’ training college in Ballarat in 1884. It was one of the first tertiary training facilities for women in Australia. 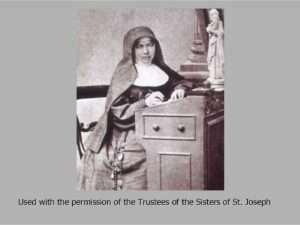 Mary Mackillop and Mary Gonzaga Barry were contemporaries and their paths crossed in their pursuit of providing education for girls in Australia and leading their respective orders. 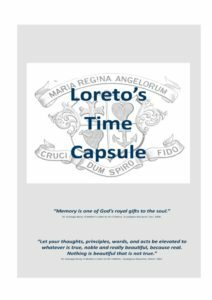 Loreto established day and boarding schools around Australia. This display shows a little of the life of a boarder in a late 19th/ early 20th century Loreto school. 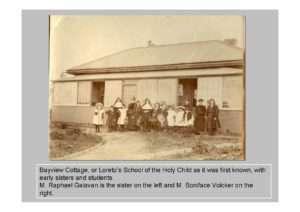 Mother Gonzaga Barry opened a convent in Portland in December 1884 and a school in January 1885, beginning Loreto’s long association with Portland.